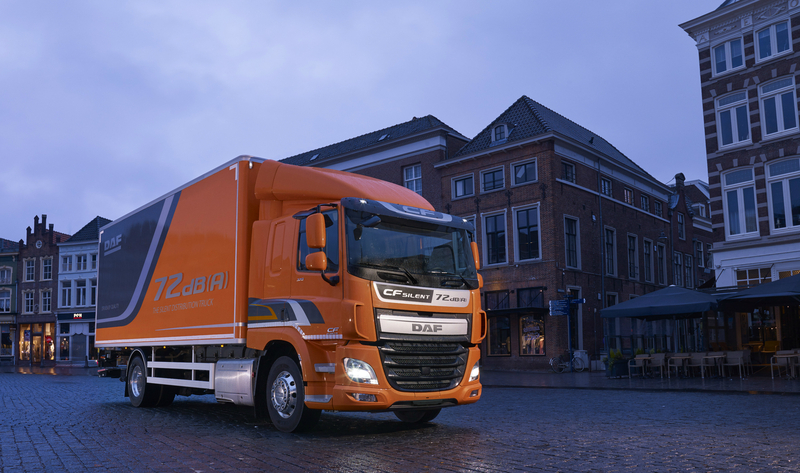 DAF CF Silent wins Fleet Transport Truck Innovation Award 2016 - DAF Trucks N.V. The DAF CF Silent has won the Fleet Transport Truck Innovation Award 2016. For the second year in succession, DAF Trucks was honored with this Award, following up on the same decoration last year for the class leading fuel efficient PACCAR MX-11 engine. The jury praises the effective and smart ‘Silent Mode’ solution, contributing to enhanced transport efficiency. 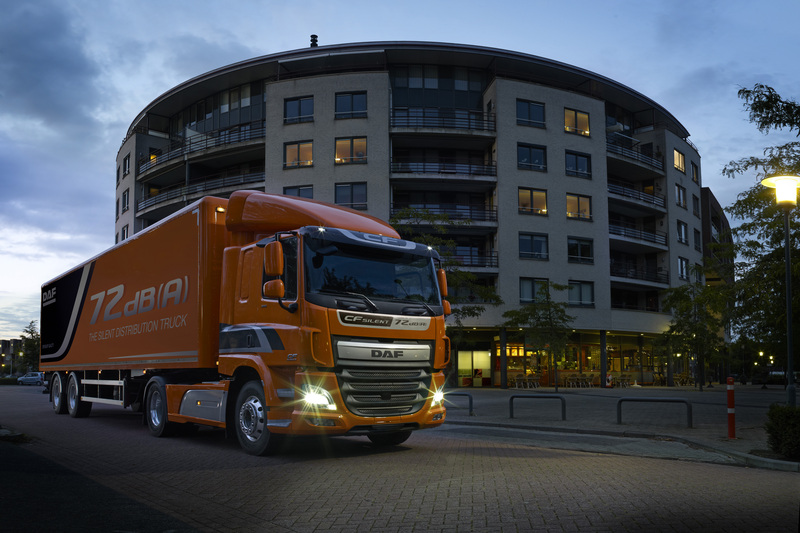 The DAF CF Silent is part of the DAF Transport Efficiency program with the aim to further optimize return per kilometer through amongst others enhanced vehicle availability. Thanks to the smart ‘Silent Mode’, the truck enables goods to be loaded and unloaded in areas where evening, night-time or early morning noise restrictions apply. When the special 'Silent Mode' is activated – just by pressing the ‘Silent’ button on the dashboard – the engine software switches to a program that limits torque and engine speed. Gears are changed at lower engine speeds and also thanks to the encapsulation of the gearbox noise level remains even below 72 dB(A). 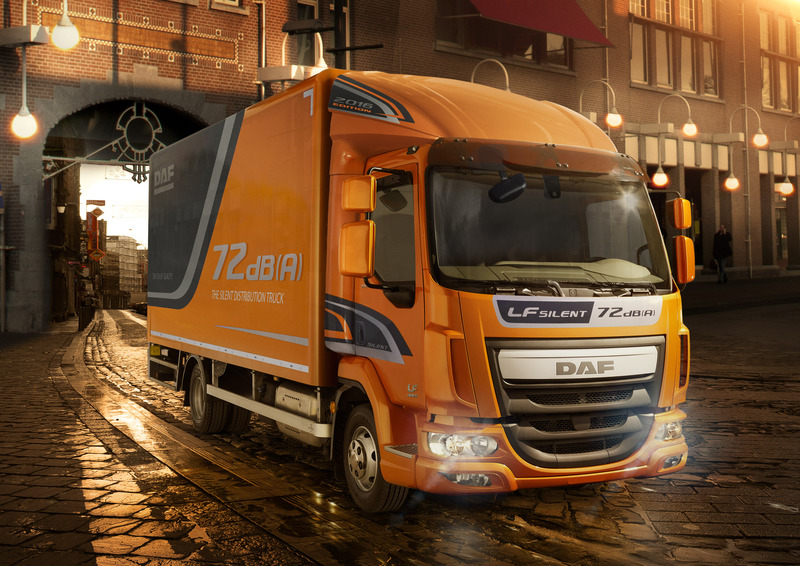 The DAF CF Silent is powered by the Euro-6 PACCAR MX-11 engine, with ratings of 210 kW/290 hp to 320 kW/440 hp.